Google has certainly made a whole lot of people hungry with their creative naming convention to depict the different operating system upgrades that they have rolled out so far. In order not to bore you with a long story, Android 2.1 was known as Eclair, while Android 2.2 Froyo proved to be rather delicious. Android 3.0 Honeycomb was a special tablet-only operating system update, while Android 4.0 Ice Cream Sandwich intends to cut down on the fragmentation that has long plagued Android users, which means Android 3.0 and Android 2.2 users can now make the jump to Ice Cream Sandwich. However, not all hardware manufacturers have prepared their device(s) to support Android 4.0, and good thing Acer is not one of those companies. 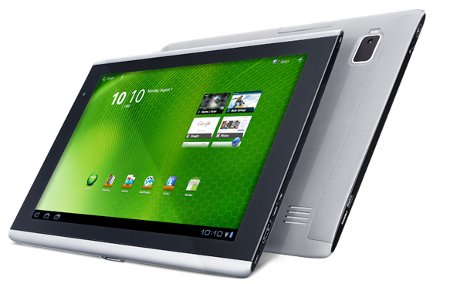 In fact, Acer intends for owners of their popular Iconia Tab line to make the jump to Android 4.0 Ice Cream Sandwich. In fact, an Over The Air (OTA) update for the Acer Iconia Tab A200 has already been pushed for some time now, and the entire exercise will be complete over the course of the following week. 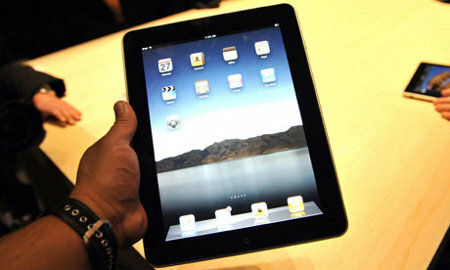 iPad 3 set for March 7 launch? Apple truly changed the way we looked at tablets with the release of their iPad, and I would safely venture out to say that the iPad proved to be the death knell for netbooks. After all, how many folks do you know still tote around netbooks with the tablet market growing so rapidly? Of course, the same can be said for the smartphone industry when Apple’s iPhone arrived back in 2007, rapidly changing the way we see multi-touch surfaces on a portable device. Having said that, the iPad as well as its sequel, the iPad 2, proved to be quite the retail hit, helping Apple achieve record quarterly profits – not to mention having their stock touch the $500 mark recently, marking a new high for Cupertino. Needless to say, Apple is not going to just rest on their laurels, and have been hard at work at the next generation iPad which we will just call it the iPad 3 at the moment. With so many rumors flying around, one of them has received plenty of attention – which is, its release date. It seems that Wednesday, March 7 will be the historic moment when the iPad 3 is introduced to the masses at an event in San Francisco. Read moreiPad 3 set for March 7 launch? Ever heard of Flying Circle Bags? No? Neither have I, but the rather fun-named company is a key supplier of field, tactical and travel bags to the US military. 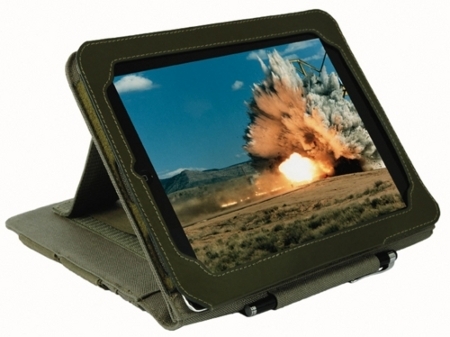 This is serious business, and when they roll out the Tactical iPad Cover, you know that they are not kidding about maximizing the use of your iPad. After all, this multi-functional iPad accessory is touted to be a force multiplier for not only the iPad 2, but its predecessor as well. Boasting a sturdy construction build as well as 1000D NIR-compliant DuPont Cordura material, this case is more than able to stand up to the rigors of tough living, and yet it does not look out of place in an office boardroom during a meeting. Take a look around you the next time you board the bus or metro during rush hour – how many people are actually using a smartphone or a tablet, regardless of whether they are standing up or sitting down, compared to those who hold an old fashioned book? The answer would be, “Plenty.” That comes across as no surprise either, since there has been massive efforts to get ordinary folk like you and I to make the jump to a smartphone by ditching our once faithful featurephones, not to mention supplement our gadget lifestyle by throwing in a new tablet into the mix as well. Oregon Scientific knows this, and decided to target the younger generation with the MEEP! tablet. Of course, we do know that kids are not exactly the best custodians of shiny new gadgets, so it makes perfect sense that Oregon Scientific has specially constructed the MEEP! tablet to cater for this particularly boisterous crowd. The MEEP! 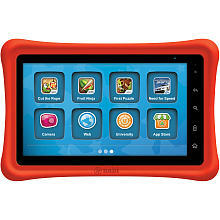 tablet is also Wi-Fi enabled, where it will be powered by Google’s Android operating system, which means it is decent enough to deliver music, movies, e-books, and apps from leading developers, showing the entire works on a generous 7″ color touchscreen display. There is one great thing about the iPad – it still has one of the best battery life for any tablet in the industry, and for those who tend to take long flights across continents, you know that it is always better to hold the destiny of your in-flight entertainment in your hands instead of being subjected to what is shown on the screen in front of you. Of course, the iPad does much more than just function as a pretty looking portable media player, but for those who use it to get their portable entertainment kicks in, you would have realized by now that holding it up for hours at a stretch are not exactly kind to your hands. 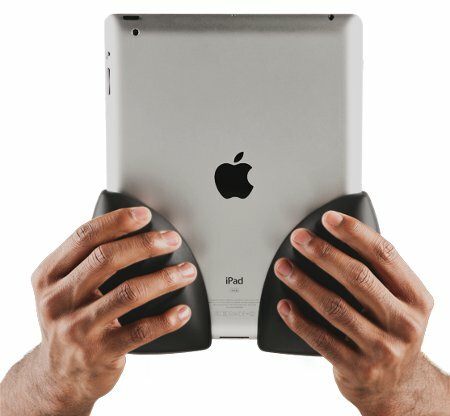 Enter the Comfe Hands, and as the name of the peripheral suggests, your tablet will obtain a shape which fits your hand’s natural contours with a soft, gripping feel. Heck, the website claims that it will make the iPad “feel lighter”, although empirically on the physical plane, that is definitely an impossible situation, but you know how your mind sometimes plays tricks on you, right? Okay, so it used to be that smartphone healthcare applications were simply novelty items that were fun to play around with but served no place in mainstream medicine, but didn’t we suspect that someday your phone or tablet might actually help physicians to save lives and reduce the cost of care? 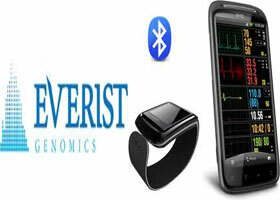 Welcome Everist Genomics, a relatively new, but fast growing medical technologies company, that has just successfully integrated smartphone and tablet computer technology with truly innovative and finally, medically valuable diagnostics in the areas of cardiovascular disease, metabolic diseases, (like diabetes) and even cancer. So meet Everist Genomics’ CardioDefender. The CardioDefender is the world’s first FDA-approved smartphone ECG (electrocardiogram) system that can actually provide physicians and patients with hospital-quality heart rhythm monitoring all done OUTSIDE of the hospital setting. The iPad 2 is Apple’s most successful tablet to date (granted, it has only one predecessor, which is the original iPad), and it does look as though the trend of Apple’s tablet dominating the world market where tablets are concerned will continue uninterrupted for years to come, although competitors such as Samsung have inched closer and closer with their Android-powered offerings, not to mention LG having announced their LG Optimus Pad LTE recently. Well, this means there is a huge third party accessory market for the iPad 2, but just which out of the many you see are actually useful and practical? Of course, there is also the matter of more than 140,00 apps being available for the iPad 2, greatly expanding the usage of the tablet in different ways and environments. 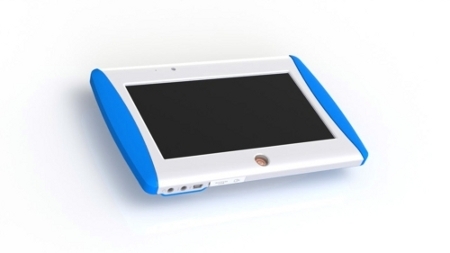 UZBL might have an idea for the future – by developing a kit which enables you to accessorize the iPad 2, making it suitable for use in any setting. Known as the “FLEX for iPad 2″, this particular FLEX kit will comprise a snap-on handstrap that lets you hold on to your iPad 2 comfortably, a shoulder strap to tote it around, and a snap-on rotating pivot with a 0.25” tripod thread which can be screwed onto any camera mount or accessory.